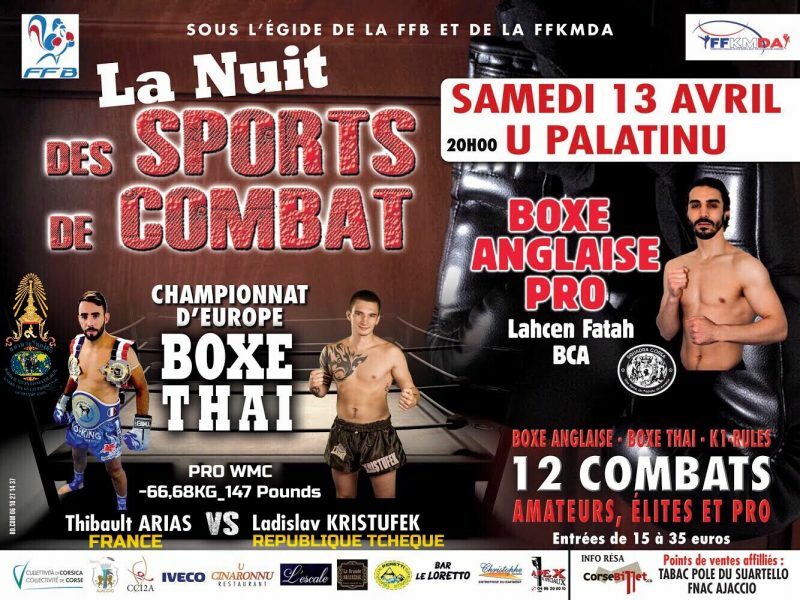 Saturday the 13th April in the beautiful French commune of Ajaccio on the island of Corsica will host an evening of muaythai sanctioned by the WMC. The event will feature a full international card with both professional and amateur level bouts held in the U Palatinu Stadium. The main fight of the evening will be between Thibault Arias from France and Ladislav Kristufek from the Czech Republic as they battle it out for the 66,68kg/147 pounds WMC European title. From all at the WMC we wish all of the athletes the best of luck and Kudos to the French Muaythai Federation for their continued development in the sport. This entry was posted on Monday, March 25th, 2019 at 4:05 PM	and is filed under News.